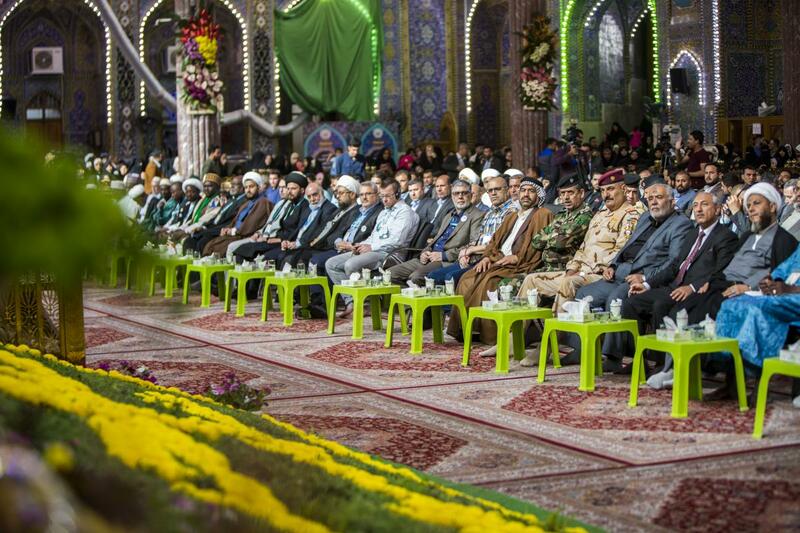 With the participation of 40 countries, the holy shrines of Imam al-Hussayn and al-Abbas (peace be upon both of them) opens the fifteenth edition of the World Cultural Festival of the Martyrdom Spring. 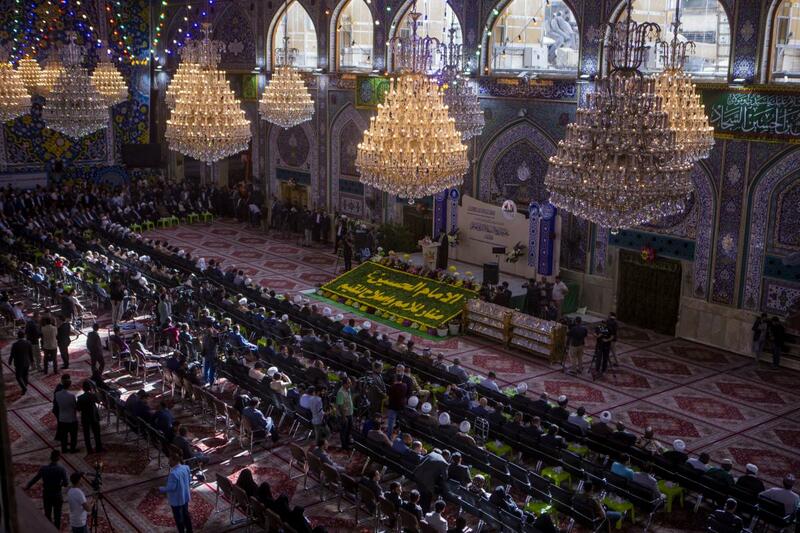 The holy shrines of Imam al-Hussayn and al-Abbas (peace be upon both of them) has opened on Tuesday the 3rd of Sha'ban 1440 AH corresponding to April 9, 2019 in the holy shrine of Imam al-Hussayn (peace be upon him), the fifteenth edition of the World Cultural Festival of the Martyrdom Spring, which is held to celebrate the birth anniversary of Imam al-Hussayn peace be upon him) and the Mohammadian lights in the great month of Sha'ban, under the slogan "Imam al-Hussayn (peace be upon him), the beacon of the nations and the reform of the values" from the 3rd to the 7th of the current month. The opening ceremony was largely attended by religious, political, intellectual, cultural, literary, artistic and social personalities from inside and outside the country, as well as the presence of the representatives of the religious authorities and the holy shrines and sanctuaries, in addition to guests from 40 countries. The ceremony was largely covered by 25 satellite channel in addition to radios, printed and electronic media, as well as the media of the two holy shrines. 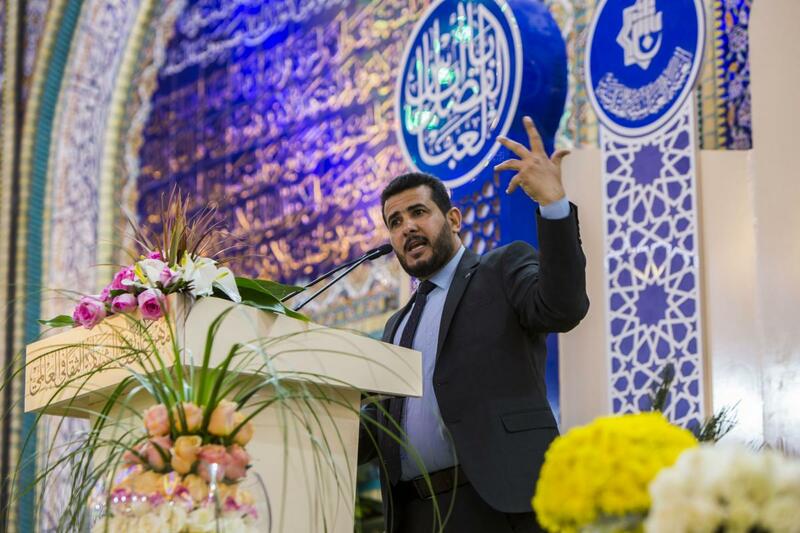 The opening ceremony began with the recitation of verses from the Holy Quran recited by Sayed Hasaneen al-Hilo, followed by the word of the two holy shrines, delivered by the Senior Official of the al-Abbas's (p) Holy Shrine; His Eminence Sayed Ahmad al-Safi, who stressed that the balanced and moderate discourse is the perfect solution to avoid any kind of sedition. The ceremony continued with the speech of Professor Grigory Kosach, a writer and Professor of the Department of the Modern East, Faculty of History, Political Science and Law, Institute for History and Archives, Russian State University for the Humanities in Moscow. Stating: "When I looked at the visitors of the holy shrines of Karbala, I discovered a light that could only be considered as the Light of Human Dignity." The speeches were concluded by the speech of Sheikh Dr. Ihtisham Al Hassan, Director of the Al-Mu'amal Cultural Foundation in Lucknow, India, in which he said: "We are proud of the victory of the Iraqis against the gangs of ISIL."